Kathleen KEMARRE is a renown Australian Indigenous artist. She married a recognized artist Greeny Purvis Petyarre 1930-2010 and their daughter Maureen Purvis is an artist. Kathleen's aunt Emily Kngwarreye 1910-1996 is one of the most famous artists . Kathleen's style is distinctively abstract interpreting Ancient Dreamings with a perspective as though the observer were a bird. Kathleen work portrays an elevated view of Utopia country in a modern state-of-the-art way. Kathleen paintings have the sheer physical presence of much contemporary work of art. Kathleen mysterious bird's-eye view landscapes are hypnotic and in high demand keenly sought after by international buyers. Painting with great attention to details, Kathleen's images seem to move with the viewer’s eyes, building up a multi-dimensional topography of depth and space. Kathleen Kemarre is very successful in the World Art Market . Kathleen work represented in important collections include Richard Kelton Foundation, Santa Monica , Flinders University , Artbank , Art Gallery of Western Australia , Museum of Victoria , Homes a Court , World Vision , Art Gallery of New South Wales. Shipping worldwide or Pick Up from Galeria Aniela. P rices may change without a prior notice. Kathleen KEMARRE also known as Kathie KEMARRE, is a renown Australian Indigenous artist. Kathleen KEMARRE married Greeny Purvis Petyarre (1930-2010) a well-known artist, and their daughter Maureen Purvis (Kngwarreye ) is also a recognized artist as well as her aunt Emily Kngwarreye (1910-1996) . Kathleen KEMARRE work is represented at Art Gallery of NSW and international museums. Kathleen KEMARRE style is distinctively abstract painting of a mysterious bird's-eye views topography. Kathleen interpreters an elevated view of an ancient Dreaming with a perspective as though the observer were a bird. Kathleen KEMARRE paintings are gentle flowing depiction of the ancient country and how it divides through the Utopia Northern Territory homelands. Within the lines of the land is where the bush yam is found, ground down and made into a paste which they apply to the exterior of their body to heal. Kathleen KEMARRE work portrays the ancient Australian country painting her landscapes in a modern state-of-the-art way. Kathleen KEMARRE is successful in the World Art Market . H er artworks are keenly sought after by international buyers . Kathleen paintings are hypnotic and in high demand. Kathleen work has the physical presence of much contemporary work of art. She paints with great attention to details, her images seem to moves with the viewer’s eyes, building up a multi-dimensional depth and space. Kathleen participated in the Utopia 'A Picture Story Exhibition' and the Summer Project painting from Utopia in 1988-89. Kathleen is represented throughout the wide World including Richard Kelton Foundation Santa Monica , Flinders University Adelaide , Art Bank Sydney , Art Gallery of WA , Museum Victoria Melbourne , Homes a Court Gallery Perth , Art Gallery of New South Wales. Kathleen KEMARRE paintings are hypnotic, painted with great attention to details, the intricate subtle shades seems to moves with the viewer’s eyes, building up a mysterious multi-dimensional sensation. Born around 1943, Kathleen KEMARRE participated in the Utopia 'A Picture Story Exhibition' by 88 Utopian artists, which toured internationally. Other involvements are the Summer Project, painting from Utopia in 1988-89. Kathleen has also been involved in wood figures carvings. Armen means food - Ngkweyang is Kurrajong seed. The designs in Kathleen’s paintings are inspired by the leaf of Kurrajong Medicine plant. 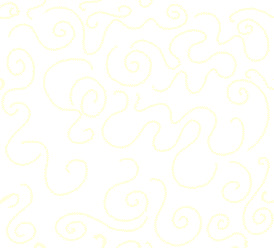 The background designs represent Kathleen’s country Antarrengeny. Kurrajong Seed Dreaming is the Amern Ngkweyang story of the seed from the Aping desert kurrajong tree. There is an ancient Dreamtime story belonging to the Ngkweyang (the aping seed) witch lies in the heart of Alyawarr land (Kathleen’s country) Antarrengeny north east of Alice Spring. Ngkweyang is an important and nutritious food source the Aboriginal people would collect these seeds, burn them to remove small hairs, and grind them into a paste for making damper (bread) this practice is not so habitual now. The linear designs in Kathleen’s painting represent women ceremony, their travel and the designs of body paint (Awelye). In 21st century language: women use makeup. Aboriginal Women manufacturer their own natural products to paint their body for the ceremonies . The paints are the colored products intended to alter women appearance are are decorative cosmetics. Widely advertised the natural Mineral Makeup (allegedly recently discovered) it has been used by Aboriginal women for over 6000 years. In Europe Cosmetics have been in use for thousands of years using ceruse (white lead), to cover the face during the Renaissance, (blindness caused by the mascara Lash Lure during the early 20th century). Romans and Ancient Egyptians used cosmetics containing poisonous mercury and often lead. However Aboriginal Women Cosmetics include only natural earth grounded Powders (red and yellow clays (ochre ), charcoal and Ash. Aboriginal Women apply paint on the whole body, with a tool that is flat soft padding stick called (typale) like a Makeup brush. They paint their body designs on the faces and also, used the body paint, onto Women chest, breasts, arms as well as their thighs. Each woman can play a makeup Artist and takes her turn to be “painted-up”. During the Ceremony Aboriginal Women sing the songs associated with their (awely). Women perform (awely) ceremonies to feel good and to demonstrate respect for themselves, their country and the total well-being and health of the community as well as their own. Aboriginal Woman have been applying natural grounded earth powders makeup cosmetic for over 6000 years. However the first archaeological evidence of cosmetics usage was found in Egypt around 3500 BC during the Ancient Egypt times with some of royalty owning make-up, such as Nefertiti, Nefertari, mask of Tutankhamun. In Europe in the Middle Ages women like a pale-skinned complexion, which was achieved through either applying pastes of lead, chalk, or flour, or by bloodletting, also put white lead pigment that was known as ceruse (white lead) on their faces to appear to have pale skin. Cosmetic use was frowned upon at many points in Western history. For example, in the 19th century, make-up was used primarily by prostitutes, and Queen Victoria publicly declared makeup improper, vulgar, and acceptable only for use by actors. European Women in the 19th century liked to be thought of as fragile ladies. They compared themselves to delicate flowers and emphasized their delicacy and femininity. They aimed always to look pale and interesting. Sometimes ladies discreetly used a little rouge on the cheeks, and used "belladonna" to dilate their eyes to make their eyes stand out more. Make-up was frowned upon in general especially during the 1870s when social etiquette became more rigid. Actresses however were allowed to use make up and famous beauties such as Sarah Bernhardt and Lillie Langtry could be powdered. Most cosmetic products available in the world were still either chemically dubious, or found in the kitchen amid food colorings, berries and beetroot. By the middle of the 20th century, cosmetics were in widespread use by women in nearly all industrial societies around the world. 1990 Utopia A Picture Story, an exhibition of 88 works on silk from the Robert Holmes a Court Collection by Utopian Artists which toured Eire and Scotland. Brody, A, 1989, Utopia Women’s Paintings: the First Work on Canvas, A Summer Project 1988-89., cat., Heytesbury Holdings, Perth Brody, A., 1990, Utopia: a Picture Story, 88 Silk Batiks from the Robert Holmes a Court Collection, Heytesbury Holdings Ltd, Perth; 1993, Aratjara, Art of the First Australians: Traditional and Contemporary Works by Aboriginal and Torres Strait Islander Artists, exhibition Cat. (conceived and designed by Bernard Luthi in collaboration with Gary Lee), Dumont, Buchverlag, Koln. Neatle, M., 1994, Yiribana, exhib.cat., Art Gallery of New South Wales, Sydney 1991, Aboriginal Women’s Exhibition, exhibition Cat. Art Gallery of New South Wales, Sydney, NATSIVAD Data Base; 1994, Yiribana Exhibition catalogue, Art Gallery of New South Wales, Sydney; 1991, Aboriginal Women’s Exhibition Cat. Art Gallery of NSW, Sydney; Brody, A, 1989, Utopia Women’s Paintings: First Work on Canvas, A Summer Project; 1988-89., cat., Heytesbury Holdings, Homes a Court Collection Perth Brody, A.; 1990, Utopia: Picture Story; Holmes a Court Collection. "Aboriginal Artists of the Western Desert - A Biographical Dictionary" by Vivien Johnson, published by Craftsman House 1994, "The Oxford Companion to Aboriginal Art and Culture" edited by Sylvia Kleinert and Margo Neale published by OUP 2000, “Australian Aboriginal Artist Encyclopedia” – dictionary of biographies” Kreczmanski, Janusz B & Birnberg, Margo (eds. ): Aboriginal Artists: Dictionary of Biographies: Central Desert, Western Desert & Kimberley Region (JB Publishing Australia, Marleston, 2004). Brody, A. 1989 Utopia women’s Paintings: the First Works on Canvas, A summer Project, 1988-89 exhib. Cat. Heytesbury Holdings, Perth Brody, A. 1990 Utopia, a picture Story, 88 Silk Batiks from the Robert Homes a Court Gallery and gallery Collection, Heytesbury Holdings LTD Perth NATSIVAD database. 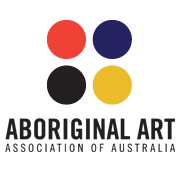 We have a long history with Aboriginal artists and look forward working together for many years to come, bringing to the World Art Market ethically sourced, original museum-quality artworks of impeccable provenance . Galeria Aniela is committed to significant dynamic artists such as Charles Blackman, Arthur Boyd, Jamie Boyd, John Perceval, John Olsen, Robin Holliday, Brett Whiteley, Garry Shead, Mrs. Bennett, Deborah Halpern, Lily Kelly Napangardi, Ningura Napurrula, Gloria Petyarre, Nancy Ross we aim to be a place of experience and inspiration. Combining the knowledge of fine art and financial expertise, with over 20 years experience in the World Art Market, and a wide network of resources, we offer an opportunity to purchase original museum-quality artworks of impeccable provenance. We recognize the importance of the buyer confidence in purchasing genuine works of art. Whether you are a first time buyer, an enthusiastic collector or an astute investor, our people focused approach ensures an enjoyable and rewarding experience. We provide secure payment options in a safe secure environment . Shipping worldwide usually dispatched within 24 hours delivery in 3-5 business days or Pick Up from Galeria Aniela .